Get ready to see Winter differently with Land Rover. It may be cold, wet and gloomy, but we want you to leave your comfy sofa, and embrace everything about winter, sharing your adventures with us. Celebrate all that winter has to offer and embrace the elements of nature that the season brings. 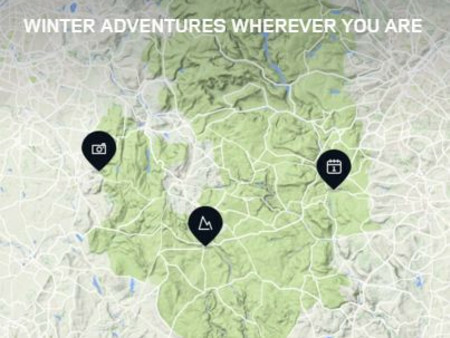 With Land Rover we want you to enjoy your perfect winter's day and share your images and videos using #HIBERNOT. It may be exploring the cobbled backstreets of a charming Scottish town, or saying goodbye to the city for a windswept coastal walk. Whatever you ideal winter adventure is, our vehicles have all the tools you'll need to enjoy the best of winter. From driving aids such as Terrain Response or interior luxuries like a heated steering wheel, our cars feature technologies that make winter driving more comfortable and fun. Find your ideal Land Rover to make the most of your winter time.